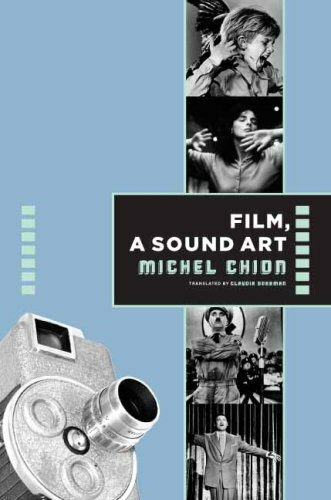 “French critic and composer Michel Chion argues that watching movies is more than just a visual exercise—it enacts a process of audio-viewing. The audiovisual makes use of a wealth of tropes, devices, techniques, and effects that convert multiple sensations into image and sound, therefore rendering, instead of reproducing, the world through cinema. Reviews: Knakkergaard (MedieKultur, 2010), Whittington (Music, Sound, and the Moving Image, 2010), Jaeckle (Quarterly Review of Film and Video, 2011). Only halfway into this book and my mind: Officially blown. Thank you.